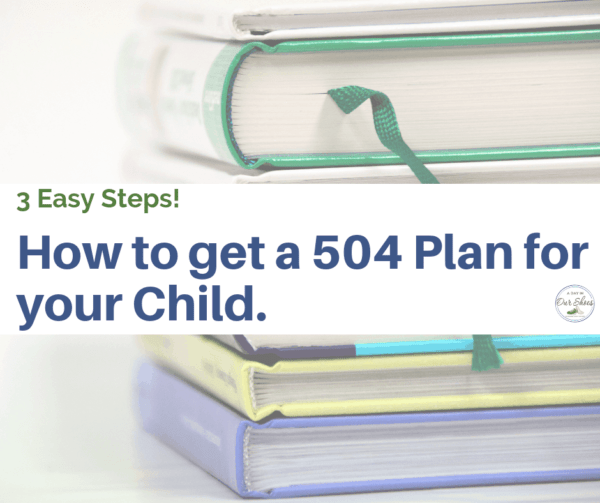 Home » IEP Goals, Accommodations and Strategies » Section 504 Plans » 3 Easy Steps to a 504 Plan for your Child. Before I get to the steps of how to ask for a 504 plan for your child, I feel the need to get on my soapbox for a moment. If you don’t want to read my rant, feel free to skip past the photo. Ok, so here goes. 504s often get lumped together in thoughts and practice. However, they are very different documents. And the thing that bothers me is this. 504s were never intended to be used as an “IEP Lite.” There were never intended to be a stepping stool or a precursor to an IEP. 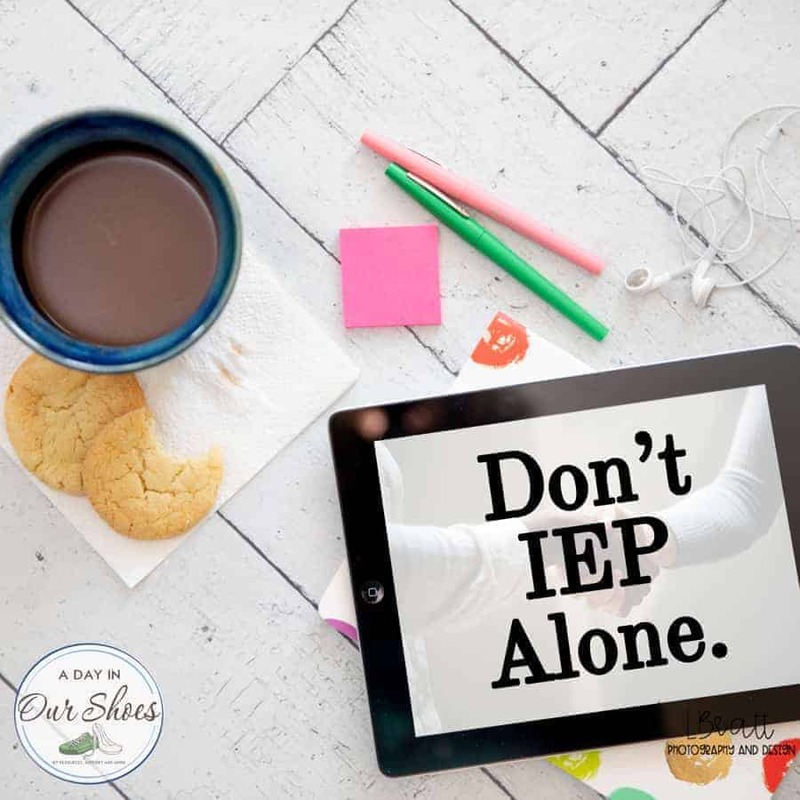 You do not have to “try a 504” before getting an IEP. 504s absolutely have their place in our world. But as school funding situations get worse, I see this problem increase. 504s are being overused. I have a blog post that explains the differences between a 504 and an IEP. But 504s offer no special education, no progress monitoring and fewer protections for students. They are cheaper for schools to create and implement, and there’s less accountability. Hence, the reasons they get overused. So if you want to ask for a 504, yes, the steps are below. But if your gut is telling you that your child needs an IEP and special education, please don’t concede to a 504. Don’t agree to “just try it out” as you will lose valuable time for your child. Wow, see? That wasn’t even a long rant. I can do much worse. Gather your data and information for your child. This will include clinical data, such as information from doctors. And, anecdotal information and examples of how you are seeing your child’s disability interfering with their education. Write a letter. It should be well-written, not done in just 5 minutes. You want to list all the reasons you think your child should have a 504 plan. And, include the accommodations you are asking for. You should send it to your child’s teacher and/or principal. If possible, find out if your school has a 504 Plan Coordinator, and send to them as well. If not, ask in your letter that it be forwarded to that person. Follow Up. The evaluation and development of a 504 is very different from that of an IEP. It’s also not very well defined, as the IEP process is. In fact, there is no obligation for the school to include the parent in the process. Nor do they have to seek your input. It is best practice but doesn’t always happen. If you don’t hear anything in a week or do, do another email. Here are some resources that may help you in this process. It happens. So, you’re going to have to push more and decide what you are going to do. This is the part where I would involve an advocate or attorney, depending on the situation. You can also read this letter regarding ADHD and 504s from the US Dept of Ed. It has helpful links to your rights. « ABA Therapy Programs~How to find one and get it in your IEP.